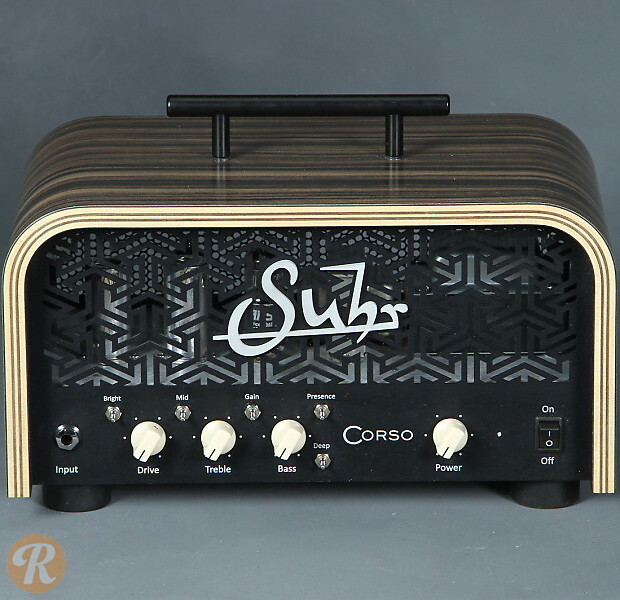 The Suhr Corso is an all-tube variable wattage (up to 5W) guitar amplifier head designed for recording purposes. A simple 2-band equalizer is complimented by mid, presence, and deep switches. 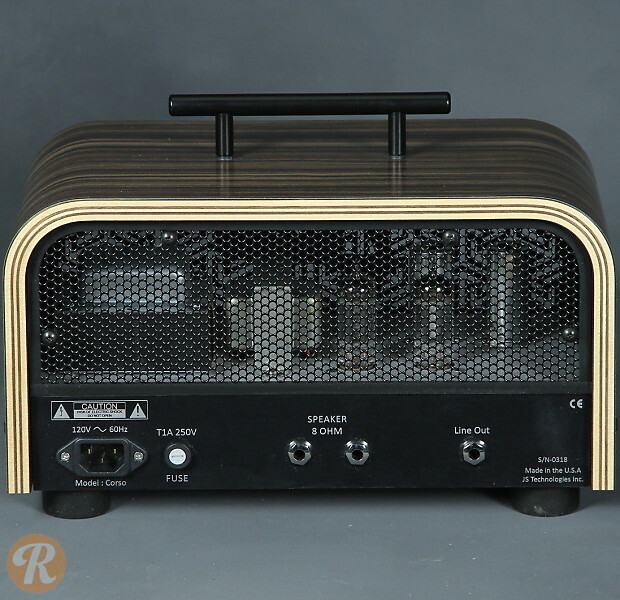 A line output is provided in addition to speaker outputs.